On July 25, 2007, I wrote a blog post. I haven't stopped since. This blogging thing began as a way to share about us Maywards with friends and family. Over time, it has evolved to include film reviews, book reviews, youth ministry musings, and church/theological insights. Some posts are really long and elaborate; others are concise blurbs. A few are truly insightful; a few are embarrassingly terrible; still others are just links to better bloggers than myself. It's a journal, a prayer, a rant, a critique, and a never-ending online writing opus, all rolled into one. The only thing that's been consistent: it's all the writings of a Mayward. It's an avenue for me to write. And I love to write. It's something I'm slowly realizing that God may have created me to do--to compose, to jot, to draft, to share, to communicate, to create. Thus, anything good you might read here surely stems from Him. 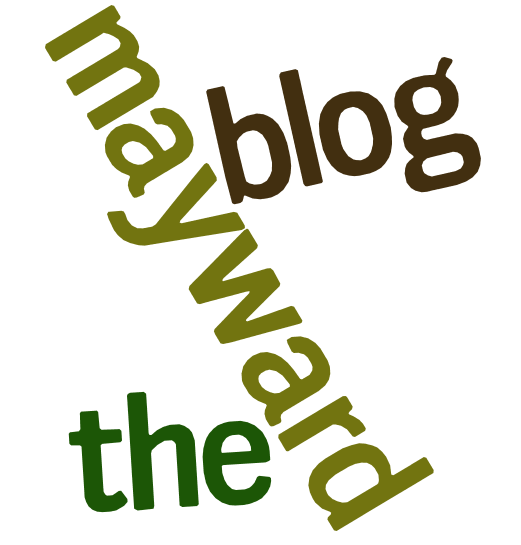 So, "happy birthday, Mayward Blog." To those who read this: thanks for reading, for commenting, and for your encouragement. I wrote in that first post that I'd keep this blog updated frequently. That hasn't changed. Let's see what God has in store for the next 365 days. I haven't been reading all that time, but I have loved what I have read. Looking forward to even more. Blessings.